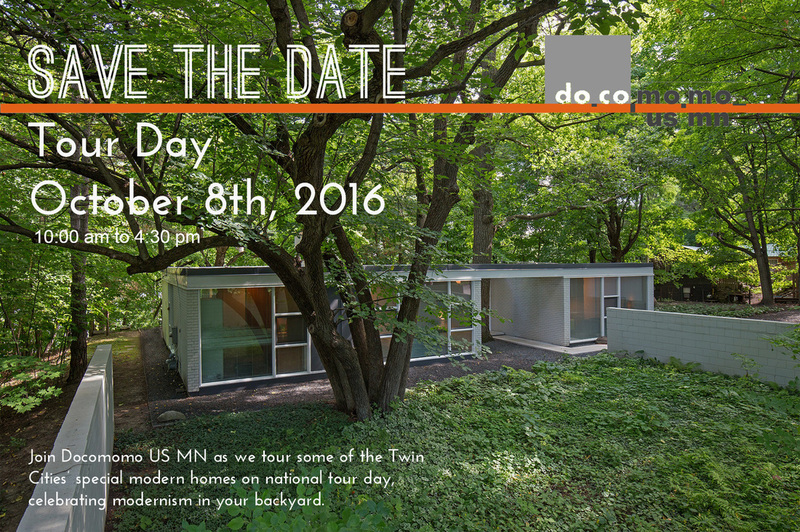 Docomomo US MN sponsors an annual Mid-Century Modernism (MCM) tour in the Twin Cities of Minneapolis/St Paul every Fall. This is a housing tour not to be missed. And it comes around every year. It includes MCM homes designed by MN architects, many who are internationally recognized. The tours offer a chance to be immersed in a space and ‘Feel’ the building. I, for one, am greatly influenced by my surroundings, especially when it comes to buildings. I can appreciate other house styles but only MCM related designs make me feel comfortable; it’s like having great art around me all the time. The tours also provide an opportunity to explore and become acquainted with the neighborhoods hosting these remarkable mid-century modernism homes. The house on the Tour Day brochure (above) is designed by Ralph Rapson, a local architect also known internationally. 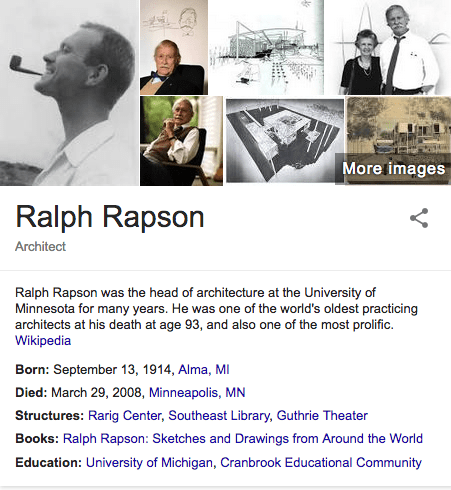 Locally, he is best known for his design for the original Guthrie Theater. The back of the home is all glass overlooking a breath taking lake-view through trees that were just beginning to change color at the time of the tour. This is a true minimalist home. It exemplifies the ‘less is more’ axiom. Even I, with my sewing stash, could fit everything in the well-designed storage and still maintain that clutter-free minimalism. Sothebys Realty has this house listed for sale. Take the tour. This was a Domomomo popup house tour in July 2016. Built in 1935, it is just ahead of mid-century modernism. The house utilizes design and products that would be featured in mid-century modernism homes of the 1950s. The house has been occupied by the son of the original owners since the 1950s and has been carefully maintained. Features are Marmoleum Floor, Vitrolite Tile, and metal exterior, a precursor of the Lustron homes. “House of Tomorrow”! 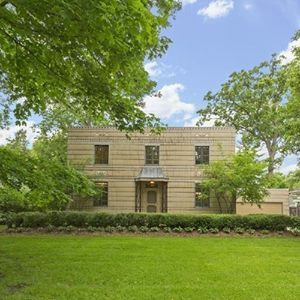 Located in St. Paul, this all-metal Art Moderne house is one of a kind. The house is for sale and may be viewed here. 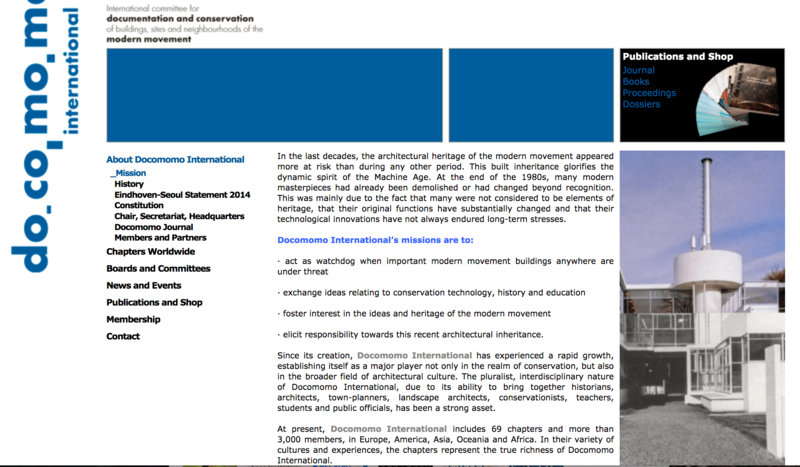 Docomomo International was established in the Netherlands in 1988 and is now located in Lisbon. 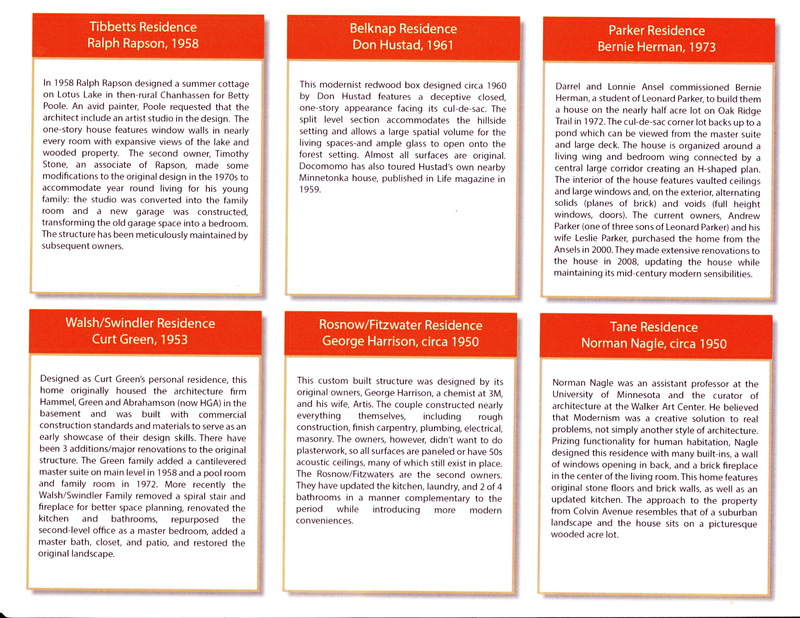 · elicit responsibility towards this recent architectural inheritance. Since its creation, Docomomo International has experienced a rapid growth, establishing itself as a major player not only in the realm of conservation, but also in the broader field of architectural culture. The pluralist, interdisciplinary nature of Docomomo International, due to its ability to bring together historians, architects, town-planners, landscape architects, conservationists, teachers, students and public officials, has been a strong asset. 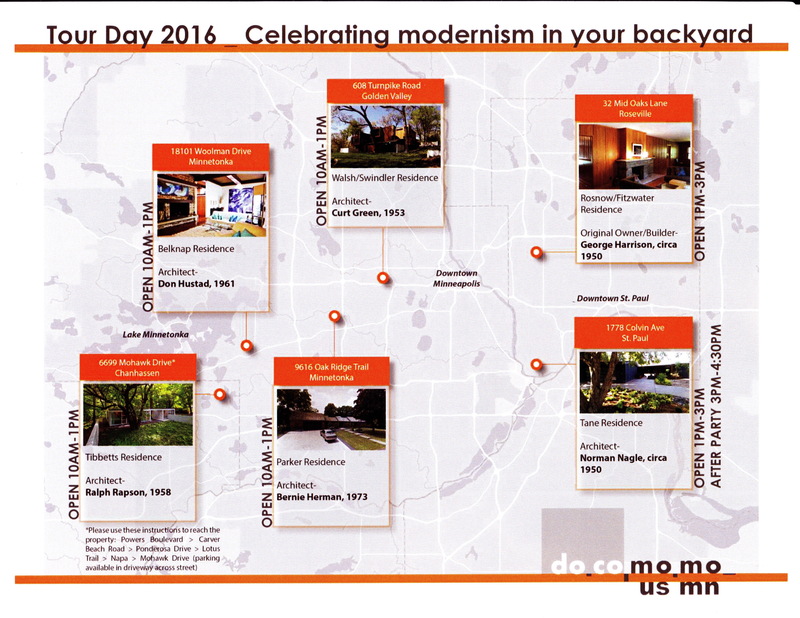 Follow Docomomo US MN on Facebook. You will be ready for the next tour. This entry was posted in MCM and tagged celebrate MCM, Docomomo, Docomomo International, Docomomo US MN, MCM, modernism, Mpls/St Paul house tours. Bookmark the permalink.